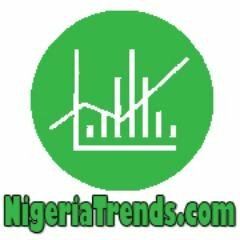 Nigeria’s five richest Pastors exposed on NigeriaTrends.com! GOD is good, especially if you’re a Nigerian pastor with some business savvy. These days, millions of souls, desperate for financial breakthroughs, miracles and healing, all rush to the church for redemption. And while the Bible expressly states that salvation is free, at times it comes with a cost: offerings, tithes, gifts to spiritual leaders, and a directive to buy literature and other products created by men of God. Pastors are no longer solely interested in getting people to Heaven; they’ve devised intelligent ways to make good money while reaching out to souls. Many other Nigerian pastors are similarly building multi-million dollar empires from their churches. Today, pastors fly around in private jets, drive fancy cars like Daimlers, Porsches and BMWs, don Rolexes and Patek Phillipes, and own breathtaking mansions all over the world. David Oyedepo is Nigeria’s wealthiest preacher. Ever since he founded the Living Faith World Outreach Ministry in 1981, it has grown to become one of Africa’s largest congregations. The Faith Tabernacle, where he hosts three services every Sunday, is Africa’s largest worship centre, with a seating capacity of 50,000. Oyedepo owns four private jets and homes in London and the United States. He also owns Dominion Publishing House, a thriving publishing company that publishes all his books (which are often centered on prosperity). He founded and owns the Covenant University, one of Nigeria’s leading tertiary institutions, and Faith Academy, an elite high school. His church, Christ Embassy, boasts more than 40,000 members, several of whom are successful business executives and politicians. Oyakhilome’s diversified interests include newspapers, magazines, a local television station, a record label, satellite TV, hotels and extensive real estate. His Loveworld TV Network is the first Christian network to broadcast from Africa to the rest of the world on a 24-hour basis. Nigeria’s most controversial clergyman is also one of its richest and most philanthropic. T.B Joshua heads the Synagogue Church of all Nations (SCOAN), a congregation he founded in 1987, which accommodates over 15,000 worshippers on Sundays. The Pastor has remained controversial for several years for his inexplicable powers to heal all sorts of incurable diseases, including HIV/AIDS, cancer and paralysis. For miracle-craving worshippers, it’s the perfect seduction. The church currently has branches in Ghana, the United Kingdom, South Africa, and Greece. In the past three years, he has given over $20 million to causes in education, healthcare and rehabilitation programs for former Niger Delta militants. He owns Emmanuel TV, a Christian television network, and is close friends with Ghanaian President, Atta Mills. In 1992, Foursquare Gospel Church, a Nigerian church, sent Ashimolowo to open a satellite branch in London. But Pastor Matthew had other ideas and decided to set up his own church instead. Today, his Kingsway International Christian Centre is reportedly the largest Pentecostal church in the United Kingdom. In 2009, the church posted profits of close to $10 million and assets worth $40 million. Ashimolowo earns an annual salary of $200,000, but his real wealth comes from varied business interests, including his media company, Matthew Ashimolowo Media, which churns out Christian literature and documentaries. Pastor Okotie made his first success as a popular pop musician in the 80s. He found the light, embraced the Bible and set up the Household of God Church, one of Nigeria’s most flamboyant congregations. His 5,000-member church consists predominantly of Nollywood celebrities, musicians, and society people. He contested and lost Nigerian presidential elections for the third time this year under the Fresh Party, a political party he founded and funds. An automobile lover, he owns a Mercedes S600, Hummer and Porsche, among several others. If you have new information of the possessions of these Five Richest Nigerian Pastors, let us know in the comment or reach out to NigeriaTrends.com! Nigerians should endeavour to open, read, study and meditate on the word of God (Bible) Let no man fool you any more with any misconception. God’s word is very clear, admonishing us to study to show ourselves approved unto God, a workman that needneth not to be afraid but rightly dividing the word of truth. God help our understanding. Thank you Pastor Steve for your contribution, you’ve said well. And we believe many Nigerians and even non-Nigerians would agree with your perception of God’s words. God is with all.